We've already brought you the details of the new Accelerate promotions for those people who like to earn IHG Rewards Club points. But what happens though if you don't stay at IHG hotels very often and prefer to credit those stays to your favorite airline program? Well credit those stays to Aeroplan as members can once earn Double Miles on stays until the end of the year. 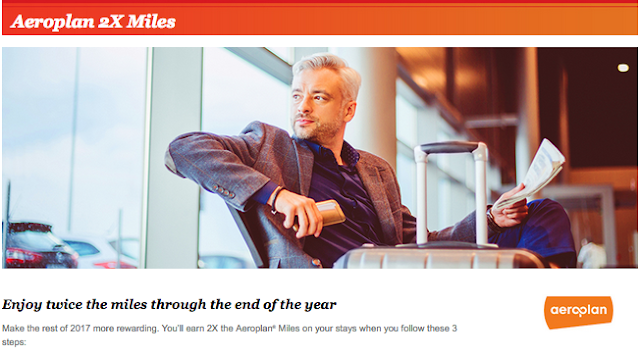 Remember to earn the bonus you must be an IHG Rewards Club member and set your earning preference to Aeroplan miles.